Emma Lewis has accepted an invitation to join THE COTERIE WRITES Young Playwrights' Roundtable! Being a part of the Young Playwrights's Roundtable is a great accomplishment. 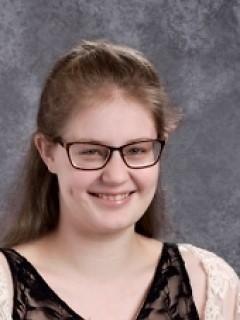 Grandview High School Student, Emma Lewis will have the opportunity to meet and discuss her developing plays in a series of working sessions at The Coterie Theatre. Some of the plays developed from the Roundtable will receive a production or a staged reading on The Coterie's mainstage this spring. Congratulations Emma!